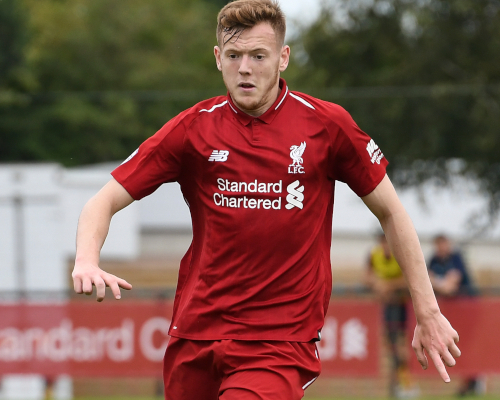 Neil Critchley has highlighted the consistency of George Johnston as his captain prepares to lead Liverpool U23s out at Anfield for Monday's mini-derby against Everton. 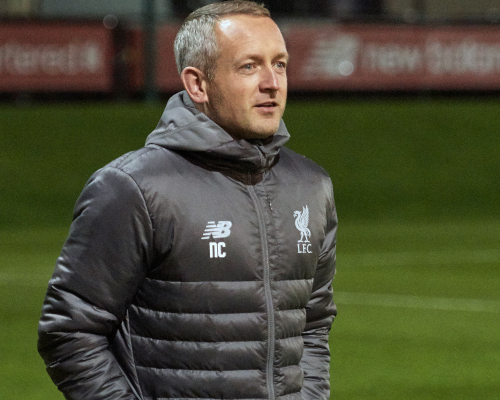 Johnston has been a model of consistency for the young Reds in 2018-19 and boss Critchley feels the 20-year-old's performances have gone up a notch since he handed him the armband. 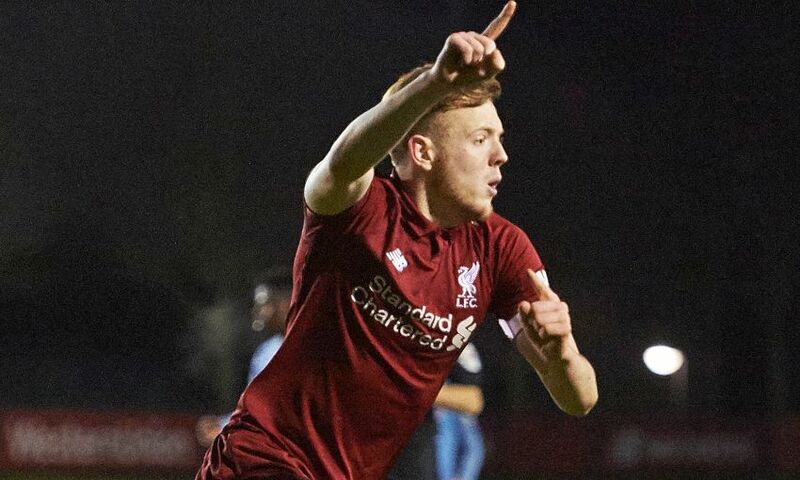 The young Reds go into the Premier League 2 clash with table-topping Everton on the back of a 13-game unbeaten run, and having beaten the Blues in the reverse game at Goodison Park earlier in the season. Kick-off at Anfield tonight is at 7pm GMT and you can watch the game live on LFCTV and LFCTV GO. If you'd like to attend the match on the Kop, tickets must be purchased in advance before the ticket office closes at 5pm. Click here for ticket information. We don’t have too many opportunities to play at Anfield so when we do it’s obviously a game we really look forward to, the staff and the players. Hopefully we can get a decent crowd and we can't wait for it. We have been in a good vein of form. We have become a team that is hard to beat, hard to play against. In that run of 13 games we have probably drawn more than we would have liked. I suppose our Achilles heel for most of the season has been turning our good performances with the chances we have created into goals. To be fair the application that the boys have shown, their attitude, their resilience, everything we have asked them to do as staff the boys have listened, they have responded and tried to do. That is all you can ask for. That was a really close game and we just edged it. You know if you are going to beat Everton then you are going to have to play well, and we did that. We know it's going to be a tough game on Monday night and we're going to have to produce a similar level of performance if we want to get a result. It's important to have the balance between being competitive at all times and showing the right mentality, but also having the calmness and the composure to play your football, your style. So we want to see our identity on the pitch, the principles that the first team display, we've got to try and produce something similar to that. They won’t always be the same but that is what we have got to try to look towards. If we can do that we know we can give anyone at U23 level a good game. So it’s a balance between fire in your belly and ice in your head. Paul was outstanding when he scored in our win down at West Ham and I was delighted to see him get the winning goal. Glen’s contribution on that night was really good as well and he is benefitting from having a good run of games at the moment. I thought he was a real threat down at Bournemouth and he scored a really well-taken goal early on and could have maybe had one or two more after that. Paul came off the bench and scored within a few minutes with a proper centre-forward’s goal. It’s nice to see those two boys on the scoresheet and it will give them confidence. We know that if we can keep a clean sheet and be hard to beat then those two could win us the game at the other end of the pitch. George has been outstanding for us. His best trait is his consistency, he is a joy to work with. I gave George the captaincy because we wanted him to develop more of his leadership skills, his communication and he has definitely developed his personality on and off the pitch this season. I think he is feeling more confident about himself as a person and that has transcended onto the pitch. George is someone you can rely on and you always want him in the trenches with you. I’m sure he will be an important player for us on Monday night as well. I remember our last game of last season against Chelsea when George scored scored two good goals, with one at the Kop end. He had a nice moment for the first team against Torino in pre-season and hopefully he can have another one of those against Everton. Tony has been back training now for a couple of weeks and it was nice to get him back on the pitch against Bournemouth. He suffered the injury in training which was unfortunate but he is a diligent boy who works very hard. Tony has had some Anfield experience, as have most of our boys. He is a good example for all of the other boys but he also epitomises the character and the spirit within the squad at the moment. They are great bunch to work with and we are very fortunate with the type of person that we get to work with on a daily basis at the Academy.